Imagine a day at work when you are amazed by the result and effectiveness of every meeting you have. When the people on your team are actually engaged, excited and even surprise you with their creative ideas and solutions. There is laughter in the office, a positive buzz in the hallways, and you feel in a good mood yourself. The best part? You have more energy at the end of the day than you did at the beginning. And you're the one who made it happen. Well, for all we know, you're already there. In that case - congratulations! For all of you who look upon this as something you would love to experience - no worries. The above scenario is an option for every leader. But to start, we need to face facts: There's something wrong in the workplace today. Increasing research confirms the level of employee engagement is way too low, corporate life makes people unhappy, and workers are unmotivated. This is alarming especially at a time when other bodies of research confirm that worklife happiness is more important than ever for companies wanting to make a difference. Leaders need to look in the mirror. When something is wrong in the workplace, it means that something needs to change. Did you know the No. 1 reason people quit their job is because of their immediate supervisor? But not to panic! Because, for you, there is great potential here! As a leader, you hold the key to doing things differently. And if you do the right things, the results will be amazing. We know this because we see it over and over again. But the one who needs to step up is you. The leader. The solution to create more engagement and worklife happiness is involvement. People who feel they are involved at work tend to contribute. And their contributions are consistent and often more constructive. Because they know that their input matters, they also feel responsible for the final result. There are some basic principles at play. When people feel they are heard and recognized, that they are part of something bigger than themselves, that they matter, that they belong, - then they feel better about themselves. The result is happier employees contributing in a more positive way to their workplace. An easy way to achieve all this is through Involving Leadership. 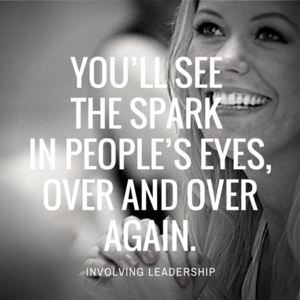 Involving Leadership is a way of ensuring better results, empowering your team and creating a lot of positive energy. It is a process-oriented approach of leadership, including a set of methods and tools that ensure involvement, responsibility, and action. You will experience the magic power of collaboration. Many of us have a natural tendency to focus inward when we need to concentrate on solving a challenge. If we learn effective processes to utilize the collective intelligence through methods of collaboration that both allow us to tap into the super brain of a team and yet give us the necessary time to concentrate, we will quite rapidly start changing the way we work. The result is better solutions and faster implementations of new ideas. And more fun at work. You tap into a source of unlimited energy - both for your team and yourself. When people experience collaborative processes that produce good results and start implementing these as part of the way they operate, we always see a positive energy change in the team. The reason is that the collective result of the team effort by far exceeds the sum of each and every person. This builds a fundamental trust in what the team can achieve. 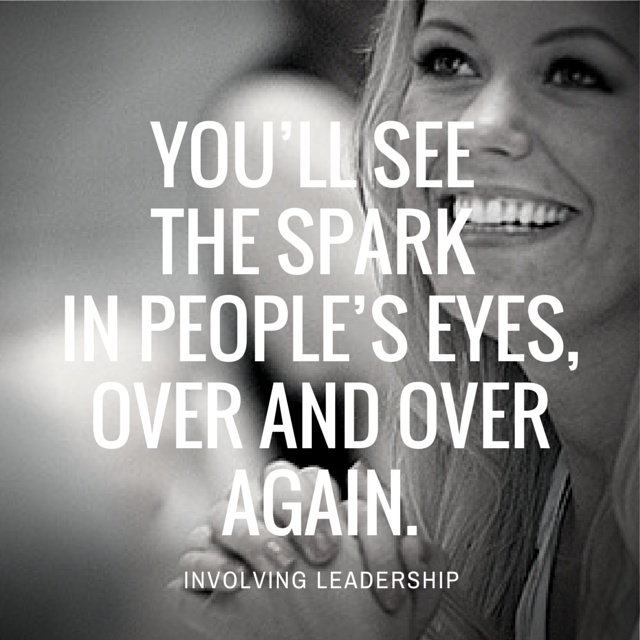 You'll see the spark in people's eyes, over and over again. When people are engaged and see how their contributions matter for the greater good, they start connecting their hearts to solving the tasks at hand, not only their brain. The result is a more concerned and caring approach to what they produce. When you meet people who have this approach to what they are doing, you can recognize it by the way they behave, how they talk, what they are doing, and by their shining eyes. So, if you want to give it a try - stay tuned. We'll talk more about this in the coming blog posts. You know - it's all about leadership, courage, and fun.